with a gentle, peaceful, thoughtful, non-judgemental approach that offers you the space and opportunity to really listen to your body and respond to what it wants. Interoception: our awareness of what is happening in our own skin, is the key to living in the present moment, not the past, and is a pivotal part of Interoceptive Yoga. Inviting you to notice any aches, pains or bodily sensations, and then giving you the opportunity to make a choice, in that precise moment, about what you want to do about it. When anxiety and stress produce constant chatter in our heads, and trauma prevents us from having a connection with our own bodies, this guiding approach to yoga helps us to reconnect the body and mind, s0 that we can achieve a more natural balance. Providing all the usual benefits of yoga, this approach would benefit anyone who needs the reassurance of knowing they will not be touched, controlled and directed during the class. Students are simply invited to move as much, or as little as they want, notice what they feel and try and reconnect with their own bodies. 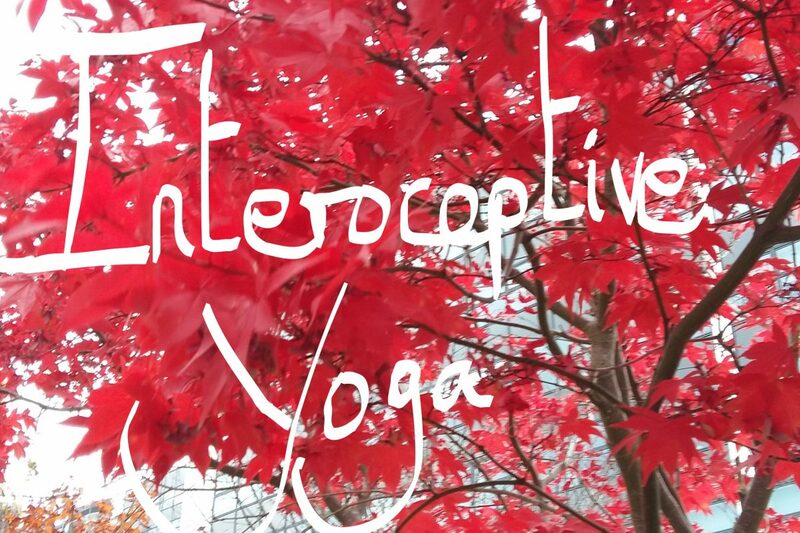 My Interoceptive Yoga Workshop is on Saturday 28th January at 2.00pm-3.45pm at Akasha Yoga Studio in Beeston and costs £15.00. Please contact me through my Contacts page and I will send you the booking details.